roof is not available. 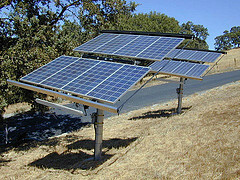 A free standing solar panel system can be easily installed on a flat roof or mounted on the ground. These solar panels have a clamping system that fits them onto the ground. The free standing solar panels can be adjusted in any optimum angle to get the maximum solar power. These are capable of dual axis movement. Free standing solar panels need to be fixed to the ground cohesively so that they are able to withstand the storm and winds. One can use concrete slabs or some sort of frame anchored to piles or console bins filled with ballast. They come in all shapes, square, rectangle, diamond supported on a single pole or double poles, with number of panels ranging between 2 and 20. Read more about Types of Solar Panels. 1) No Penetration – Free standing solar panels do not need any penetration to the roof material. Hence the roof remains intact. 2) Independent of the Building Location – Free standing solar panels are not dependent on the location of the building structure. Some buildings are so made that they do not receive ample amount of sunlight. A free standing solar panel comes handy in such situations, since it can be fixed anywhere on the ground, regardless of the position of the main building structure. 3) Adjusted and Angled Properly – A free standing solar panel can be more precisely adjusted according to the sun’s rays and hence work more effectively giving an enhanced output. 4) Easily Relocated – Free standing solar panels can be easily relocated without disrupting the main building roof structure. 5) No Special Equipments required – Generally bolts together, no special equipment is required during installation. 1) Solar PV Tech – a Devon based Solar PV Installation company. 2) Solarcentury – is a UK based solar company, founded in 1998. Read on GWI Solar Panel Manufacturers – Guide to the Biggest and Best. Free Standing solar panels typically cost between 50- 75 cents/ watt. 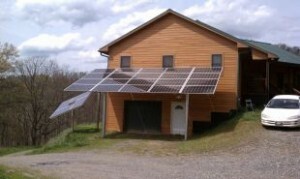 I am interested in getting an estimate for the installation of a solar panel for our home. Please contact me to verify that you do or donot install free standing systems on homes in the Phoenix, NY area. I want the installation this spring. heavy for our roofs, what are the alternatives you offer? 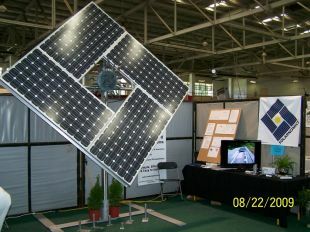 Enquire about Flexible solar panels. They are light in weight.